Typical structure: a half-day or full day with several classes, leading performances later in the day. Our percussion and drumming workshops are probably our most popular offer for schools, mostly because they are so participatory and accessible for all ages and abilities. 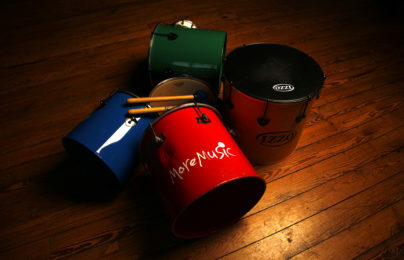 While some children feel a little shy about singing, even in a group, most young people are quite happy to play a drum. 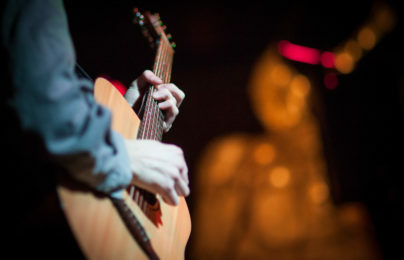 Pupils will learn the rhythms and play the instruments of different cultures, communicating and collaborating musically as a group. Our team of music leaders have years of experience leading drumming workshops, leading streetbands at major events and playing music with people of all ages and abilities. 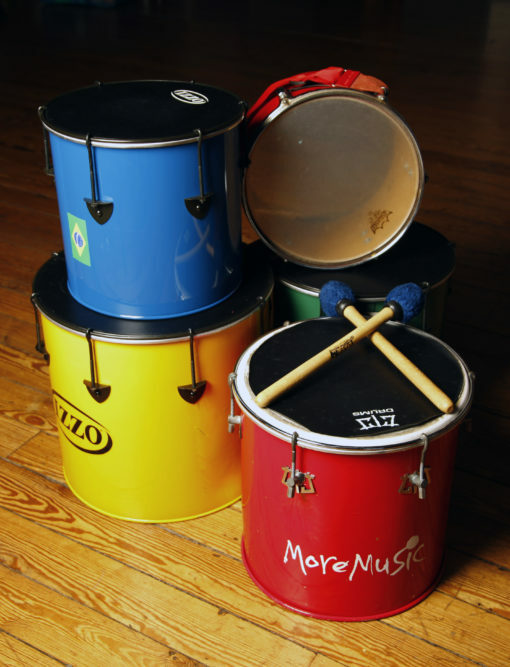 We have an extensive collection of drums and percussion to bring to your school, just let us know what you’d like. West African – this is our most basic drumming workshop, using authentic djembes (made from wood and goatskin) from Mali. They are hand percussion instruments so no sticks are required and work well with call and response exercises building complex rhythms over time. Brazilian – we draw on 20 years’ experience of performing with our own streetband Baybeat and teaching Samba music for these sessions. We use traditional Brazilian teaching techniques; vocalising then beating the rhythms. We can bring a whole array of kit, such as drums, bells and shakers so children of different ages can create a carnival celebration in the classroom. Chinese – this is part of our broader Chinese music making offer and offers an inspiring route into cross-curricular and cultural themes such as diversity or Chinese New Year. It introduces students to a completely different set of rhythms, and is very effective when used for story telling – just as it has been for centuries!